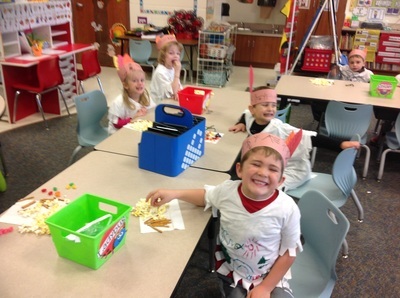 We spent a lot of time talking about the first Thanksgiving. 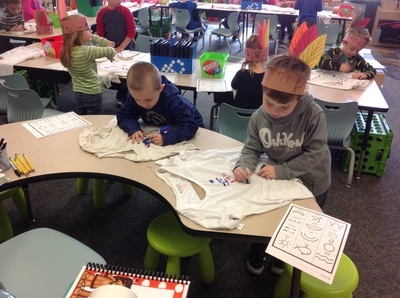 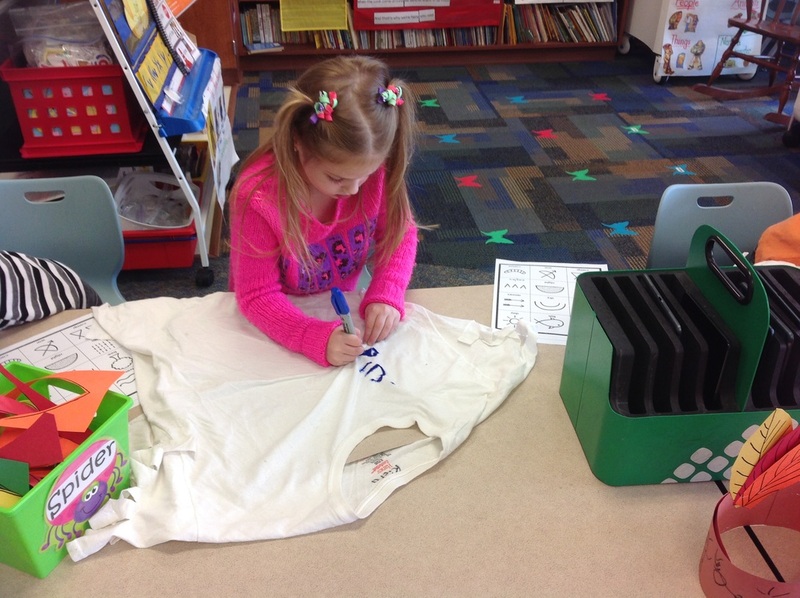 We talked about how the Pilgrims came here from England, and how the Native Americans helped them. 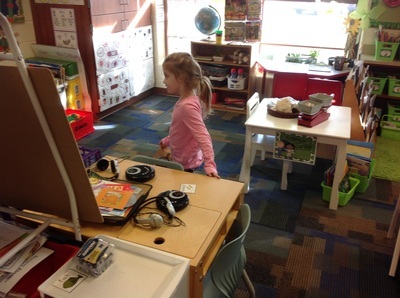 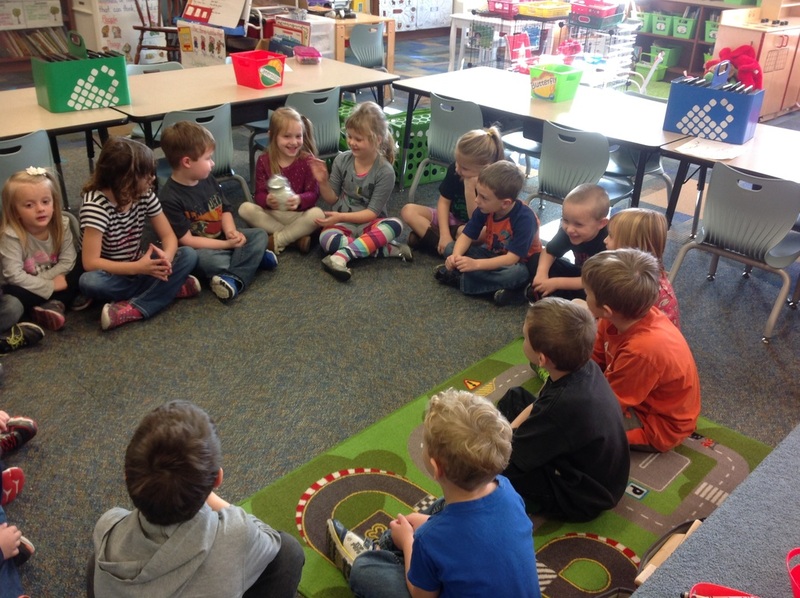 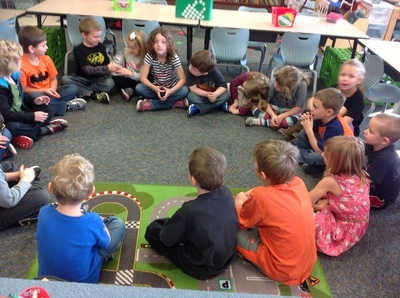 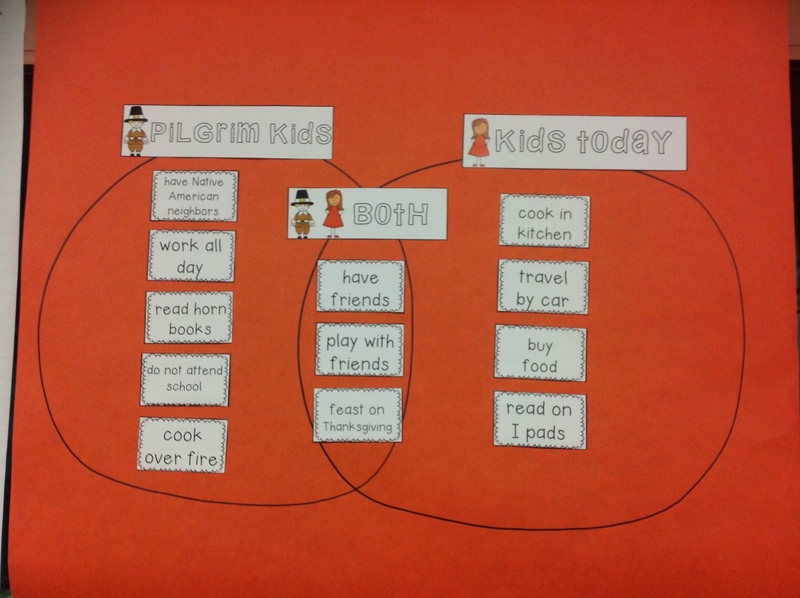 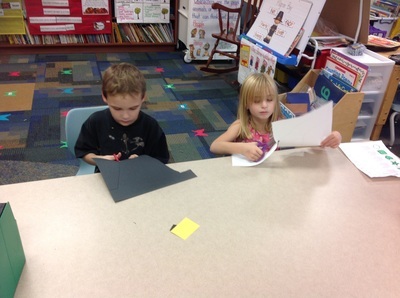 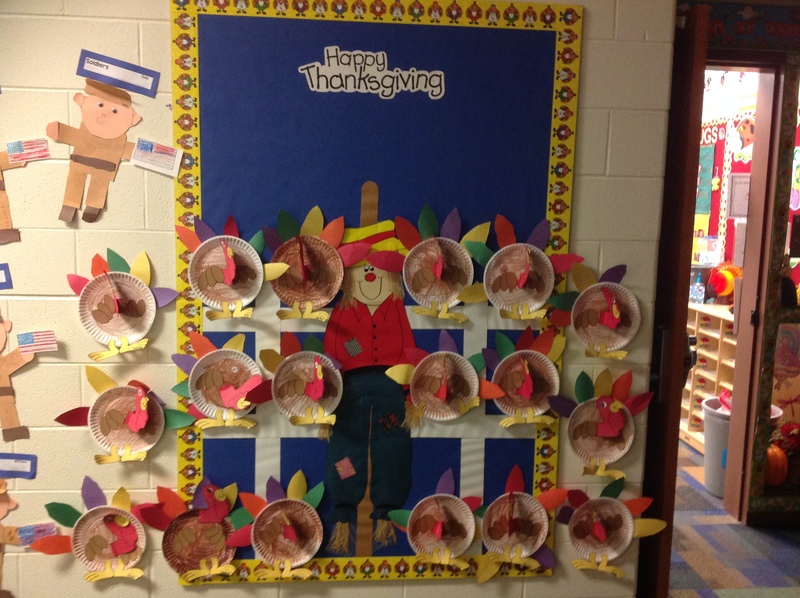 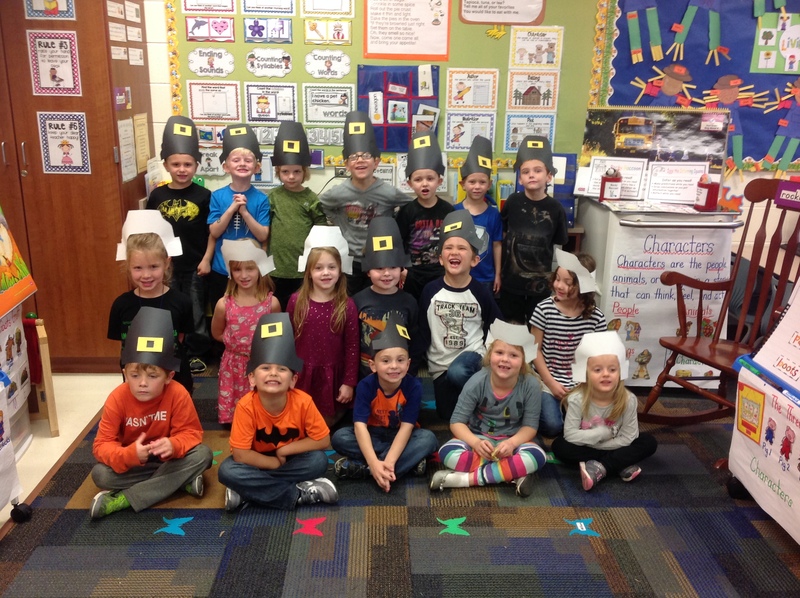 For a few days, we talked a lot about how different it was for Pilgrim children. 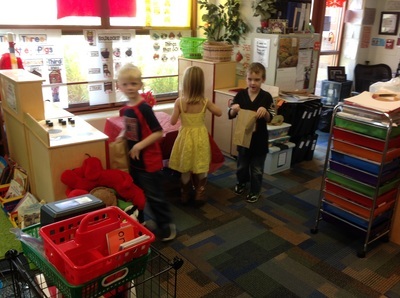 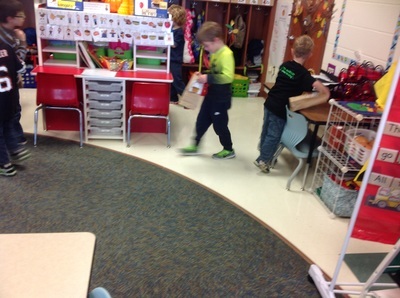 They had a lot of chores like hunting and gathering food. 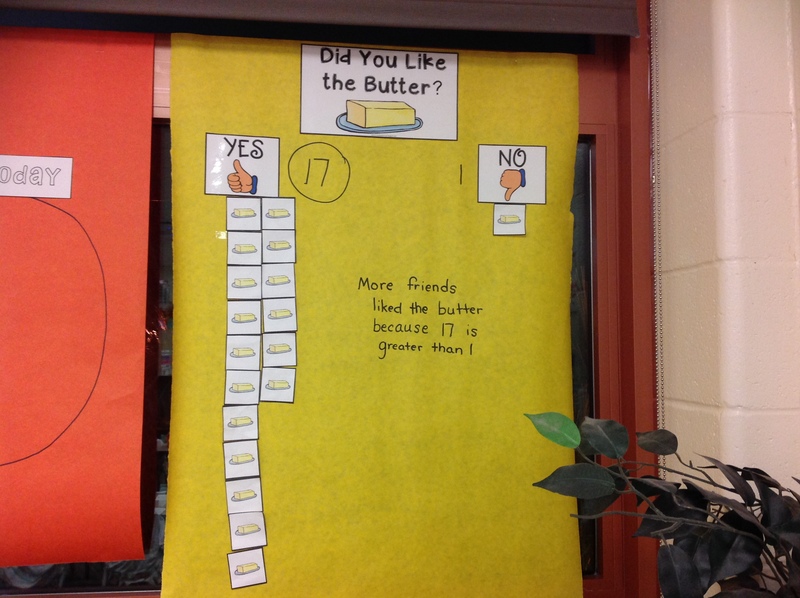 They also had to make their own butter! 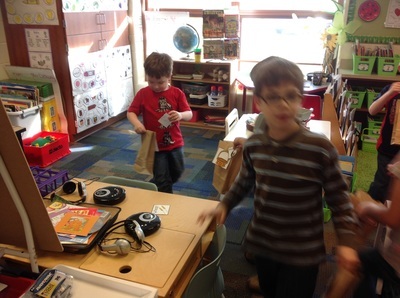 So, we pretended to hunt and gather food. 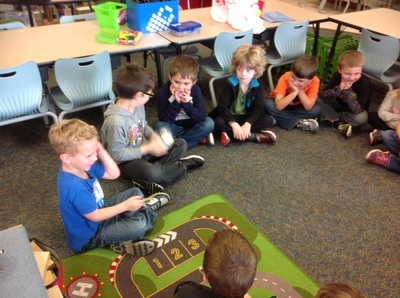 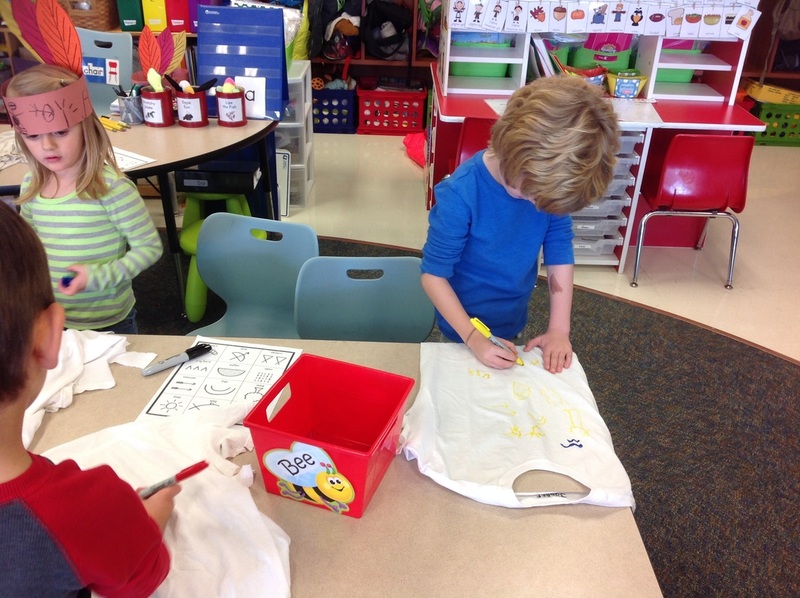 Then we shook cream to make butter!! Next, we spent a couple days talking about the Native Americans. 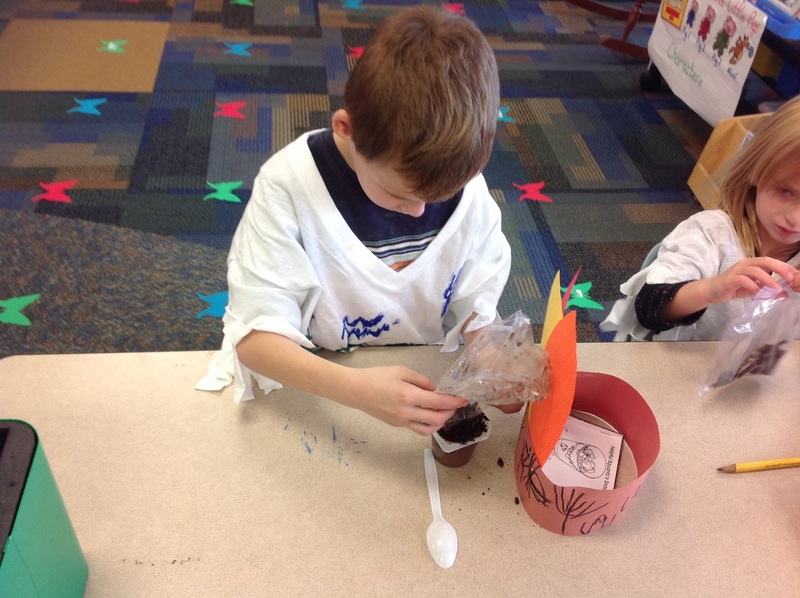 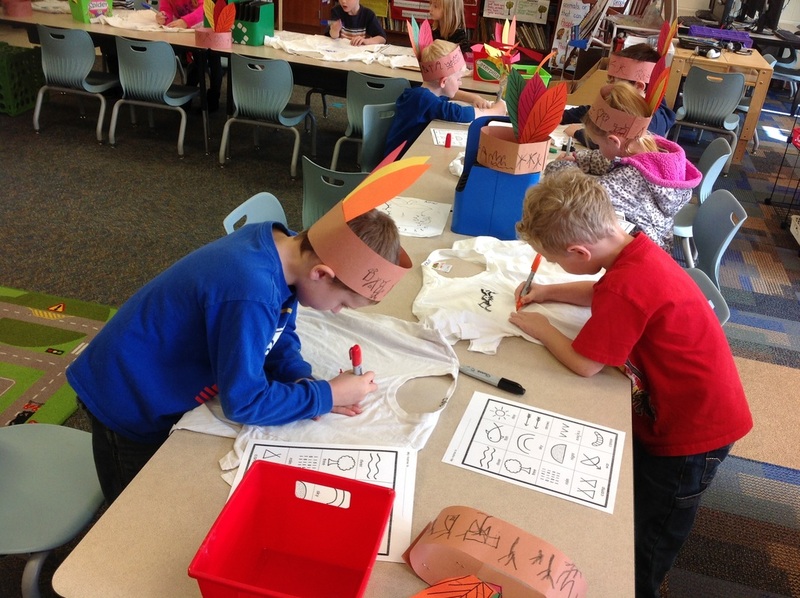 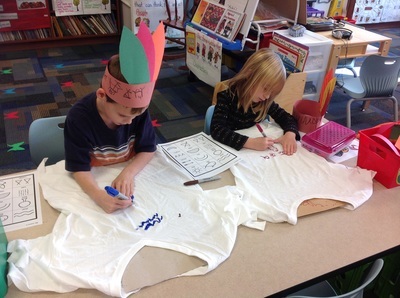 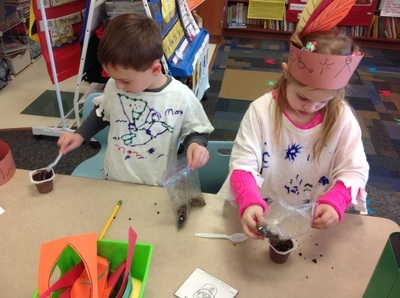 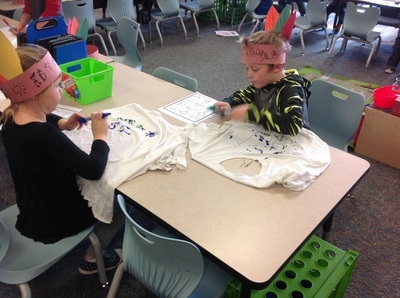 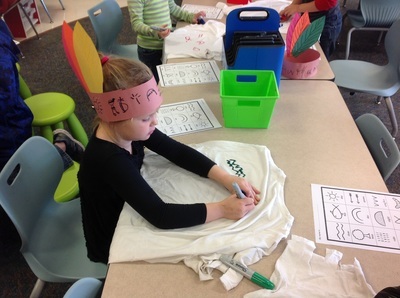 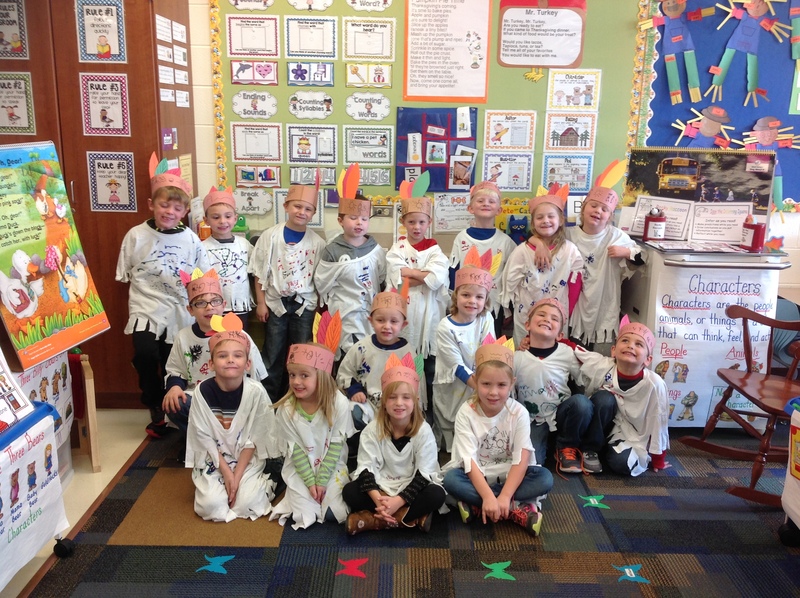 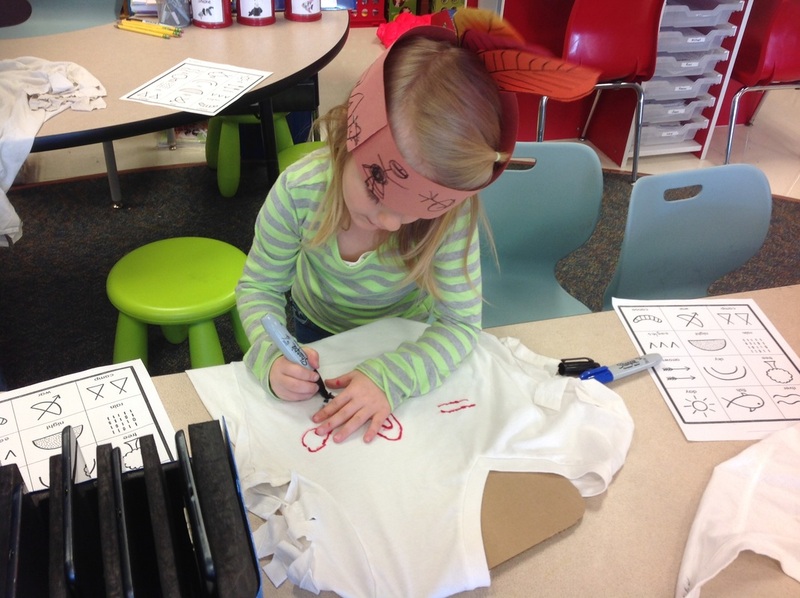 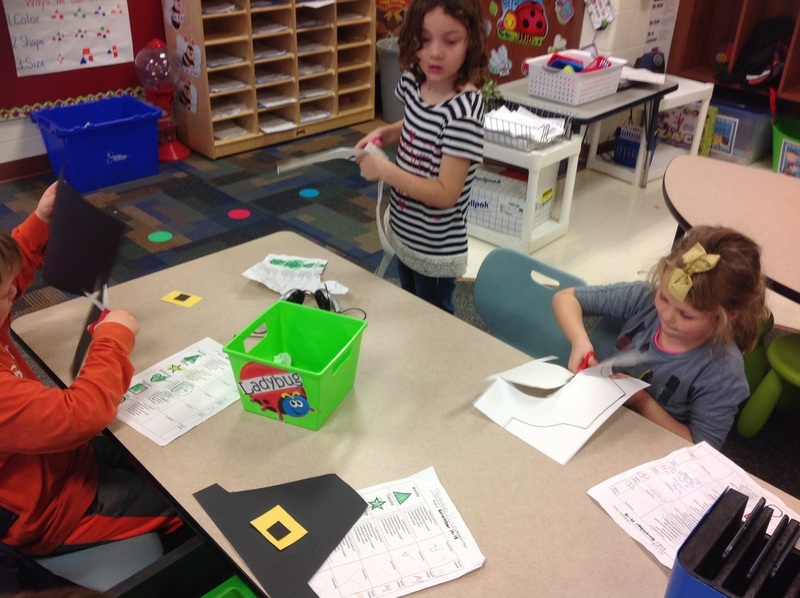 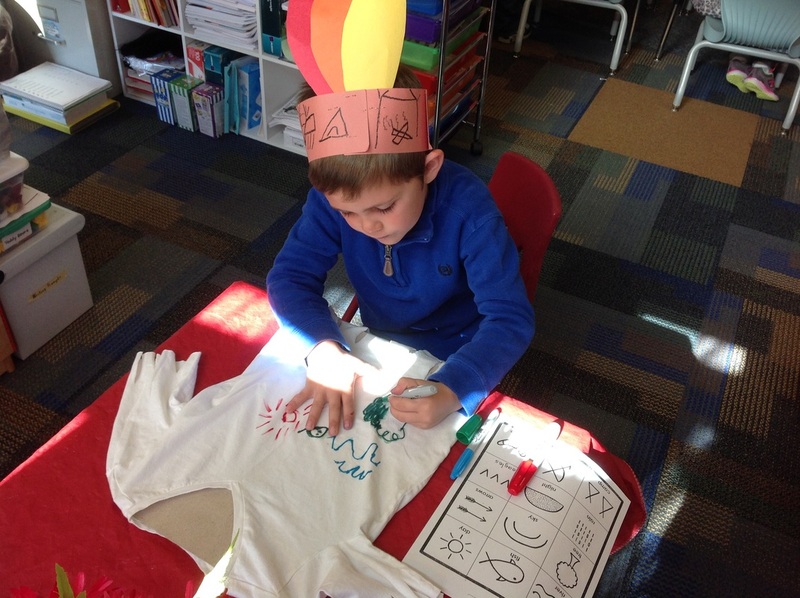 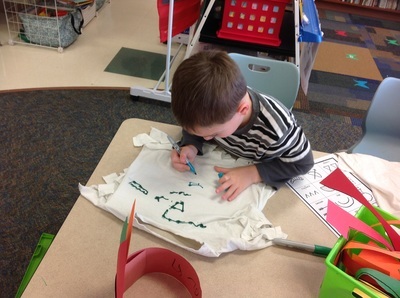 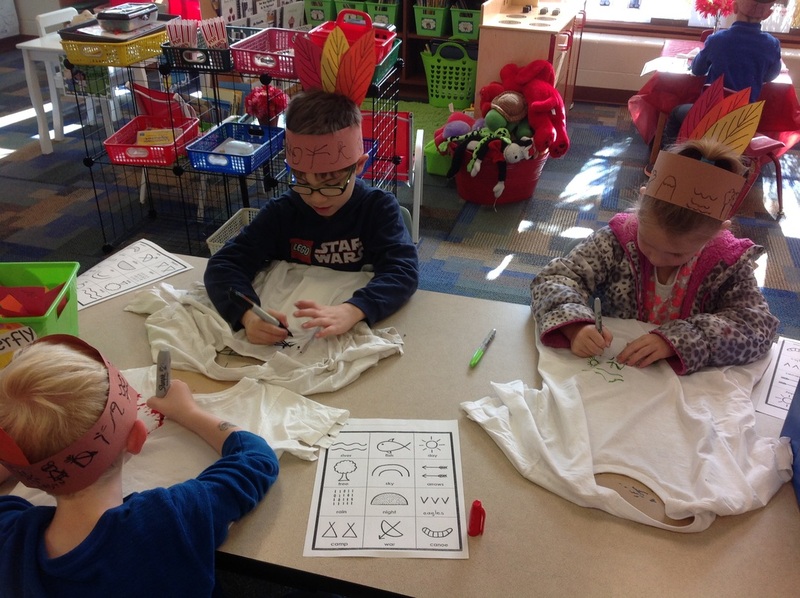 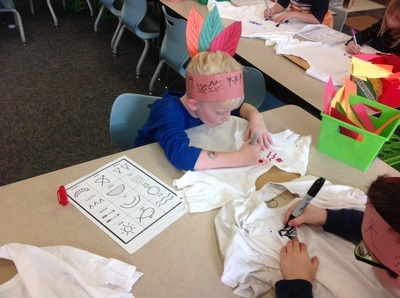 We learned that Squanto taught the Pilgrims how to plant corn. 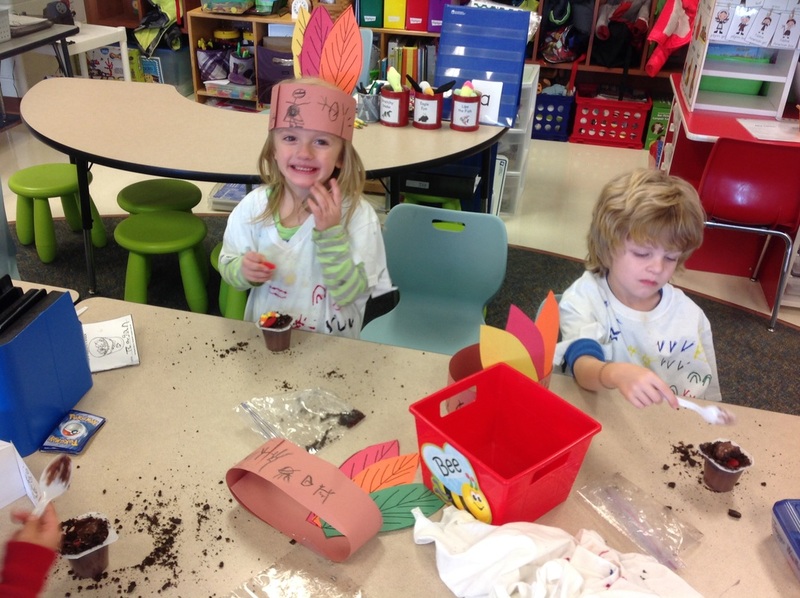 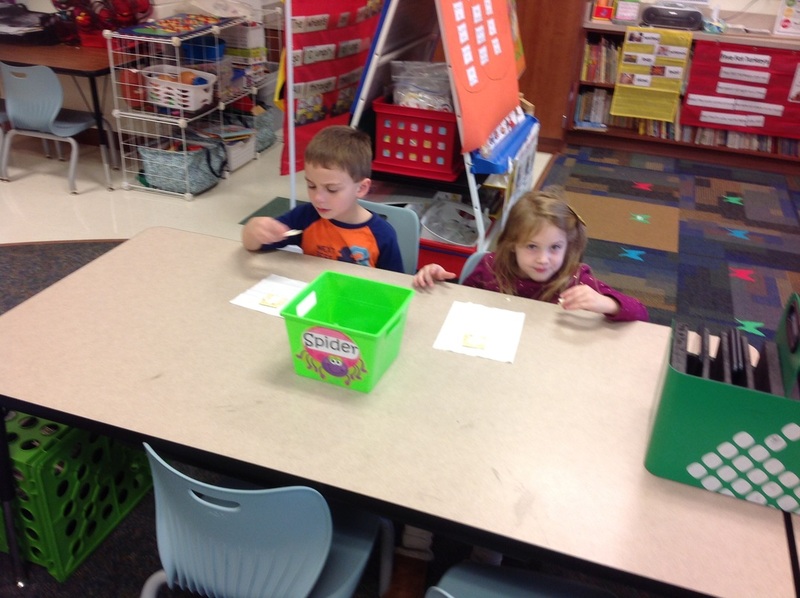 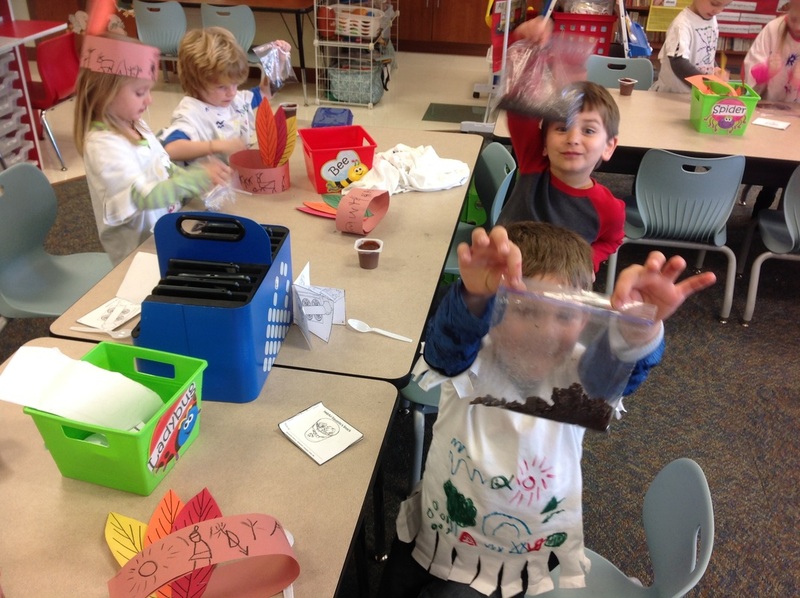 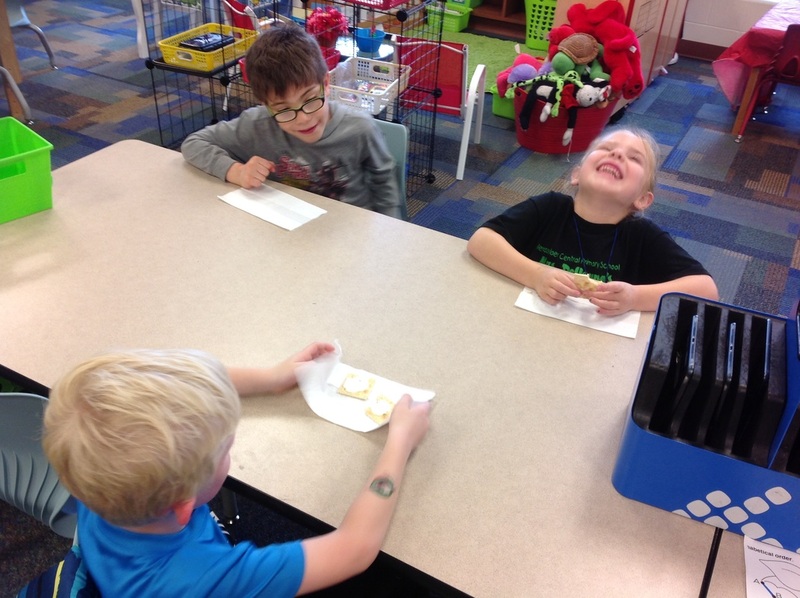 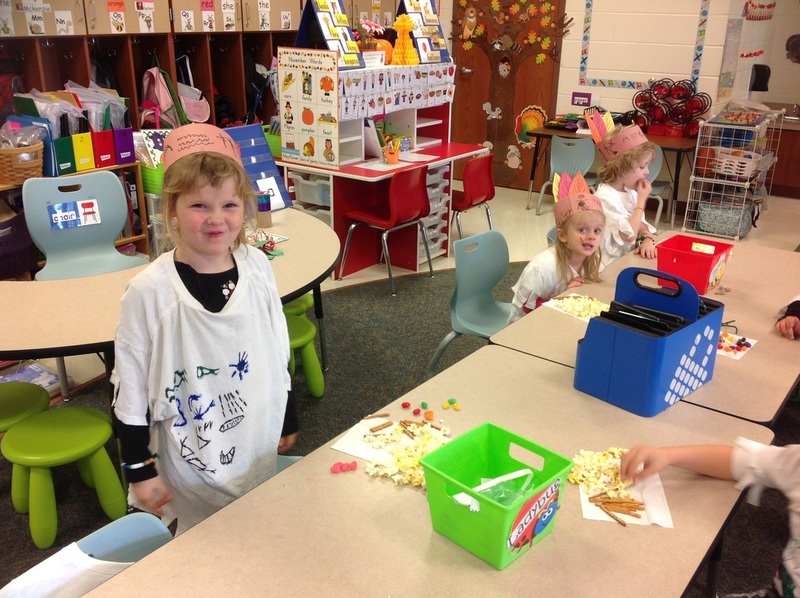 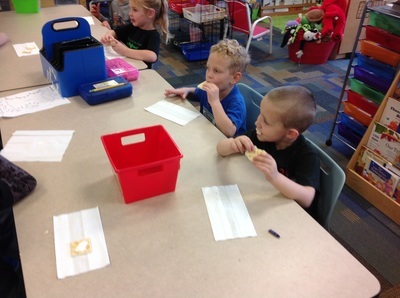 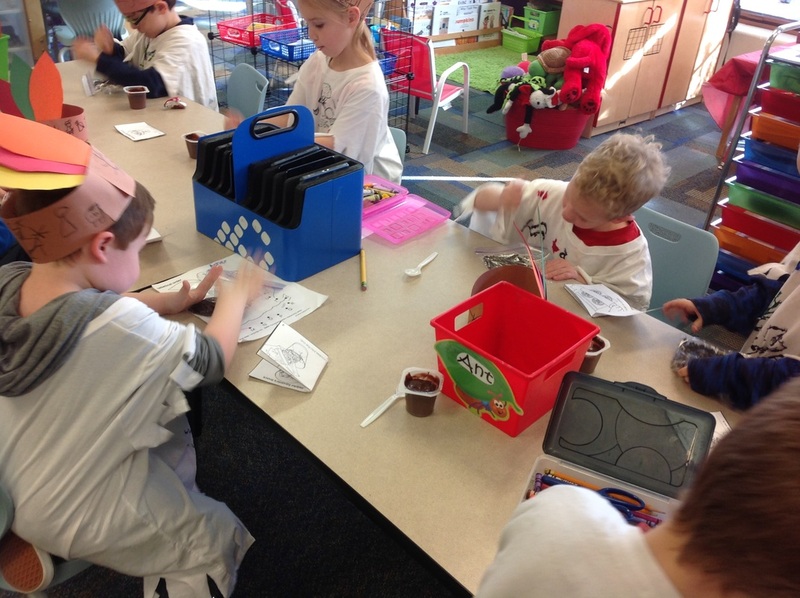 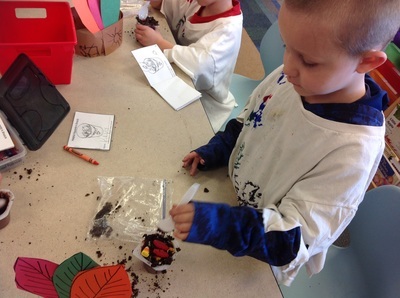 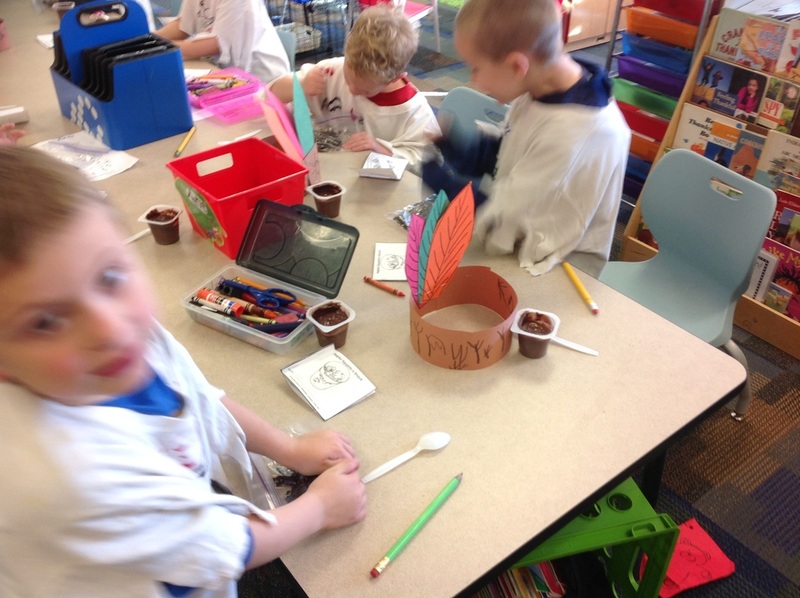 Then we made a Squanto snack. ​We learned a lot!